Alene sends pictures almost every other week – her photos are not what mine would be, but I’m so fortunate to have her there to be my eyes, I won’t apologize for poor resolution or lack of composition; these pictures are precious to me, my only glimpse of all that I love and long for from half a world away. 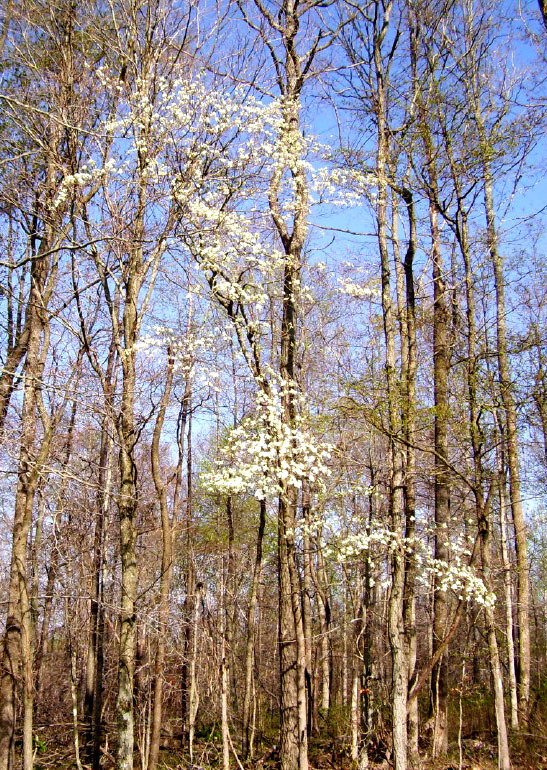 The dogwoods have started flowering now and soon will be a riot of white against the pale new green leaves of the overstory trees behind them. One day not too far from now, I’ll be there to see their transformation for myself; until then, these ordinary photos keep my heart and mind tuned to a certain hilltop farm in south-central Kentucky, where the sun rises on bright spring-green pastures and sets on hardwood forests tinged with spring white. It has been a wet Spring thus far, with more than 4″ of rainfall by mid-April; 15″ or so for the year to date. 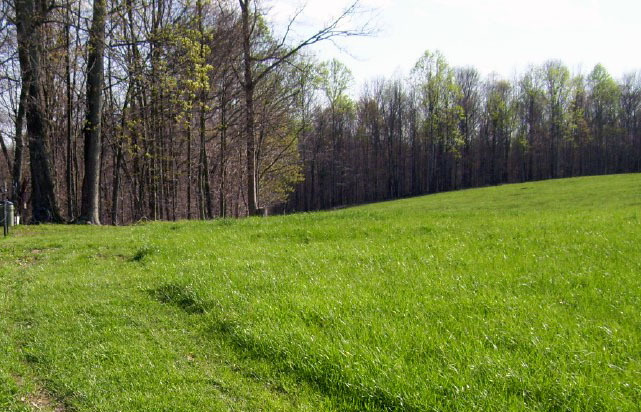 The forest will be exploding soon with life and the pastures are already at grazing stage, 8 – 10″ of tender, succulent young grass and clover. Too bad I do not have any hungry sheep or cows to begin rotating through them yet… It would be a good time for lambing, calving and foaling, with lots to eat and rains bringing more growth every day.